Water and plumbing is something that is almost every person takes for granted within a business. However, when the water stops running through a shower or a toilet, many business owners will realize how much they need their water source. To top that off, consumers who are in need to use the restroom or wash their hands could make or break a business if the water source is not functioning correctly. Therefore, there are a few things that you may need to do in order to prepare yourself and your business to keep your water source from failing. In the following brief, you will learn a little bit more about commercial plumbing and some facts to help you and your business be better prepared for any malfunctions with your plumbing. Many business owners understand that having a pipe break within their business could be an expensive repair. Finding a plumber or a plumbing company that does an entire plumbing inspection for business regularly will help present your plumbing from failing in the future as well as stay on top of its maintenance. A good tip for a business to be better prepared for any plumbing malfunctions would be to make sure that any drains that have a water source connecting with it would have a strainer attached, as well as someone to check it regularly for any debris and clean it out. 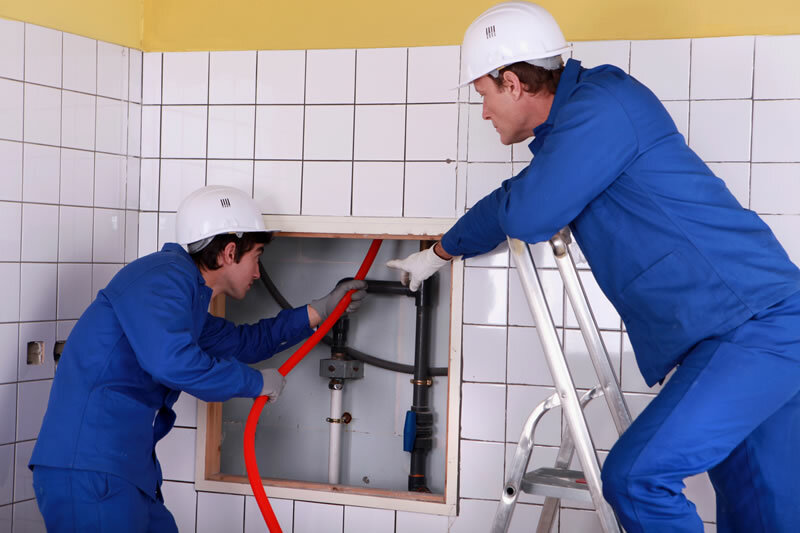 To stay on the lower side of overhead when it comes to plumbing repairs some business owners have maintenance workers who can fix the simple or problems that can come with plumbing. For example, like a dripping faucet, a toilet that is constantly running, cleaning out the clogs within the pipeline or the P – trap under the sinks, would be a few examples of some repairs that can be taking care of within the business instead of having to hire a plumbing company to take care of these minor repairs. However, sometimes the maintenance workers do not have the full understanding and knowledge of the plumbing repairs; therefore, it may be a wise decision to talk to a professional plumber to get additional insights on the repairs at hand. Putting additional resources within the areas of your plumbing needs may also help save the business some additional expenses. For example, putting some trash bins in each of the bathroom stalls to ensure that any on flush able are put into the bed instead of the toilets. One of the major reasons plumbing has a lot of problems is because of sanitary products that are flushed through the system because there was no place to put them. Therefore consider the environments of where any commercial plumbing modesto ca needs are, and consider adding additional resources, like additional bins or biodegradable towels that will harm your plumbing system. In conclusion, those that are in commercial business plumbing’s inspections are necessary in order to keep your business and plumbing running at its best. This will not only help your business maintain itself but it will also show your customers that you take pride in the business and appreciate them coming into your business atmosphere. Taking care of a regular plumbing needs with either a professional plumbing company or even a maintenance worker will keep your business on point with its plumbing needs now and in the future. However, if you have questions regarding your plumbing if there are any clogs or breaks in the line talking to a professional plumbing company for your commercial business is essential to prevent any future malfunctions from occurring.